Free range Norfolk goose, grain fed and hung for a good flavour. All our Norfolk geese are free range, grain fed and hung for a good flavour. Oven ready birds will be prepared the day of sale and will be packed in a presentation box with separate giblets, fat and fresh herbs. Sale price is based on table bird weight including giblets/fat. We will do our best to match the weight you require but this may vary slightly dependent upon availability. We will let you know in advance approx when your delivery will be made. If you are unable to take delivery we can leave the bird in a safe place with chiller packs. Overnight courier is available for orders outside of the local area. All orders being dispatched by overnight courier will be frozen just before being packaged up and sent. All our birds are hung for at least a week for the best flavour, because of this moisture levels are reduced and so there is little expansion during freezing. Overnight courier deliveries will be dispatched by tracked courier service on the afternoon of Wednesday 19th December 2018 for delivery on Thursday 20th December 2018. We loved our Goose this Christmas one of the best we have had for many years. We also enjoyed our visit to your farm beforehand thank you for taking the time to show us how the birds are reared – welfare is really important to us when we are buying meat …your birds certainly have a fine life and congratulations on your pasture for life certification we shall be back for some of your lovely belted galloway beef in the new year. 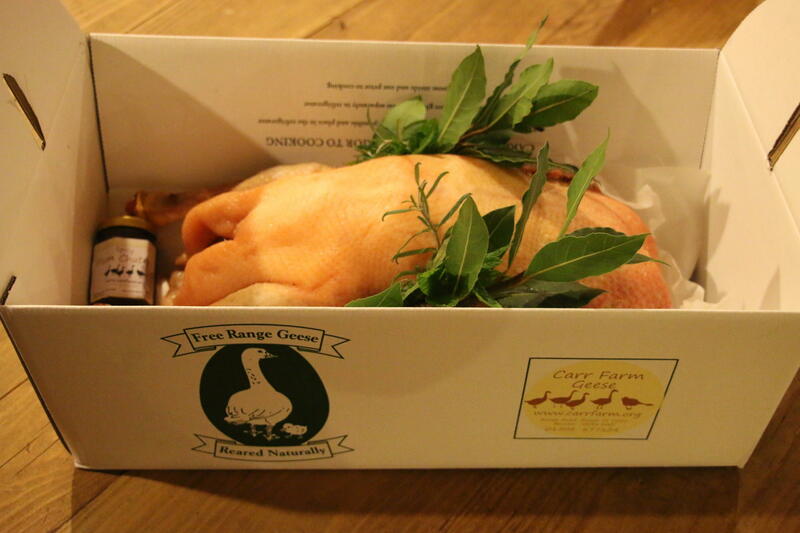 Delicious free range xmas goose from Carr Farm as always ….and thanks for going out of your way to deliver to us…much appreciated. All the best for 2018! 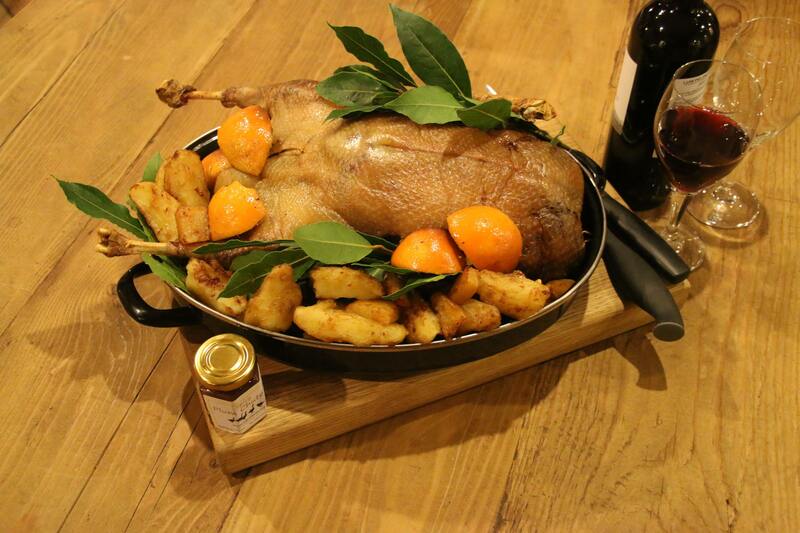 This is our fourth year of having a Carr Farm goose at Christmas – I cannot rate them highly enough the geese always cook beautifully are flavoursome and tender….if only we could purchase at other times of the year! 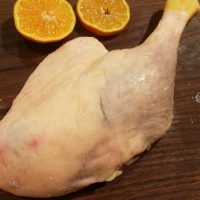 Spectacular Christmas goose – this is the start of a new tradition in my home! 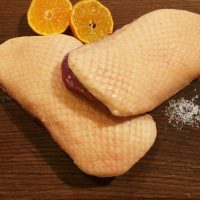 Delicious goose last year, just placed a order for this year! Just a quick note to tell you how very much we enjoyed the goose we purchased. 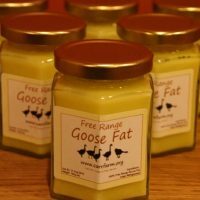 My husband is not a huge goose fan, but he lost out to other family members requests this year! His quote on eating his Christmas Day dinner was “this is probably the best goose I’ve ever tasted, it’s so moist and full of flavour”! 5 of us sat down on Christmas Day and the left overs were consumed by another additional guests on Boxing Day, poor goosey didn’t last long! Thanks for you wonderfully prepared Goose, You’ll certainly have another Goose customer next year. I’m all prepared to do your splendid receipes. I just wanted to say that our Goose arrived yesterday, really well packaged and looking utterly beautiful. I can’t wait to eat it! !Thank you so much for all the hard work you put into rearing it. 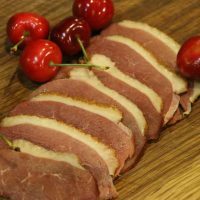 Ordered goose from Carr farm for the first time last year. It was delicious – I am definitely ordering again. Much enjoyed; a splendid bird. Thank you. Loved our Christmas goose last year! Will definitely be ordering again this year! We loved the presentation it was a lovely surprise when we opened it very Christmassy. It was the best dressed goose we have ever bought and it was beautifully tender and very tasty. So thank you very much indeed.